Knowing the types of best hybrid bike seats can make your buying process a lot simpler. After all, you don’t want to end up with a bike that functions well but is not comfortable to sit on. Hybrid bike saddles or seats take inspiration from many different types of bikes. Here you will learn all about them. Bicycle nowadays is not just limited to one or two types. You will find some options to choose from. From mountain bikes to road and touring bikes, the list just goes on. And now hybrid bikes are trending and even leading the market. They combine the best of many bike types. 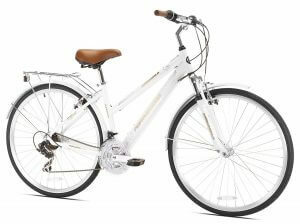 Hybrid bikes, as the name suggests, is a cross between different kinds of bikes. 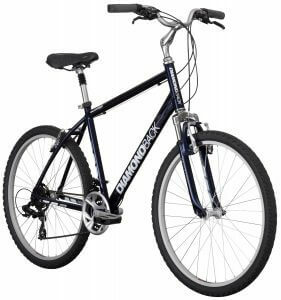 For instance, it may have the sturdiness from mountain bikes and speed from road bikes. Even within hybrid bikes, you have different types like trekking bike, commuter bike, cross bike, city bike and comfort bike. 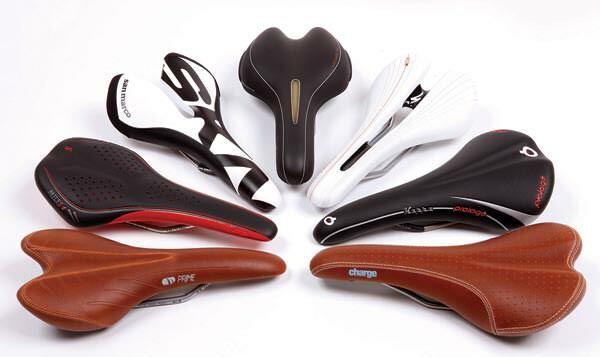 1 Why is it Important to Choose the Right Saddle? Why is it Important to Choose the Right Saddle? Well, why do people leave cars or motorbikes and opt for bicycling? Because bicycling is supposed to be fun! People do it when they want to relax and enjoy the time. It is not at all meant to be painful. Still, a majority of the cyclists always tolerate the unexplained muscle pains thinking that it is something uncontrollable and bound to happen. No! That should certainly not be the case. If you have the right hybrid bike seat, then your ride will not only be comfortable, but you will even enjoy it throughout, irrespective of how long or short the distance may be. It is true that in the first few days a rider might feel some pain as his/her body is getting used to the activity. However, after some time the soreness goes away. In some cases, the pain/stress prolongs and does not go away. That is where you should know your bike’s seat isn’t the perfect type. Having a comfortable seat is as important as having a strong frame and right tires. This is not just a random accessory that you can overlook. Since we are discussing the importance of having comfortable seats, we will be reviewing in detail the different types of hybrid bike seats, how they affect the rider and how they differ from other kinds. A comfort bike is a more comfortable version of a mountain bike (go figure). They are built mainly for leisure and to have fun. Their seats are stuffed with a good amount of gel and foam. They are also backed up with a suspension system. The foam gives a soft feel to the rider, and he/she will not feel any pain even if the ride is long. The suspension system is a spring attached beneath the seat so that whenever a bump or big hurdle comes in front, the rider will easily pass it and the shock will be absorbed by the suspension system. The name for this seat is referred to as cruiser saddle. 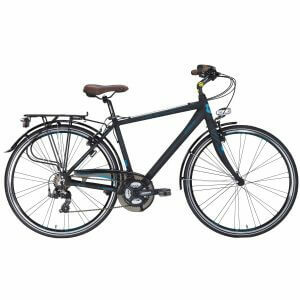 A city bike is designed for medium paced rides and for short time periods. It is built to withstand all sorts of weather conditions and give user comfort rather than speed. It is similar to a utility bike used in urban areas. As the name suggests, utility bikes are there to fulfill your daily travel needs. The hybrid bike seat on it is typically wider than what other bikes have. It is cushy, meaning foam is stuffed in it and also has a suspension system. The seat is not easy to remove therefore doesn’t need a lock for safe keeping. On this type of seat, the rider sits slightly leaning forward so that some of the weight is transferred to the pedals. The rider can paddle fast thus maintaining a constant rate. Trekking bike is a casual, lightweight and less mile eating bicycle. Its saddle is made of a solid steel frame. It is split from between, but there isn’t any air flow. The split is there to give more comfort to the rider so that he/she can comfortably ride for longer journeys. Commuter bikes are there to commute for short distances. It has a cruiser type seat. This seat is cushioned all over and is split from the middle. The split allows for air flow and also gives comfort to the user. This part is usually responsible for causing pain to the rider and numbs his / her bottom after some time. The split resolves that problem. It is made of leather so it can be cleaned easily and doesn’t get soaked on rainy occasions. Slight padding is done on it to protect from the bumps that may come in the way. The front of this hybrid bike seat is downward sloped so that rider can quickly move forward. Some of the seats for this kind of bike are shaped a little longer to give a better body position. These are the main types of hybrid bike seats that are used. Comparing these seats to other bikes will help give a clearer picture. Now that we know the kind of seats there are for hybrids specifically, the decision should be simple now. We are aware that the type of bike and its purpose ultimately determines the kind of seat that will be placed on it. There are further many types of seat/ saddles that are used on bikes. These types of saddles move you forward in a leaning position so that you have more weight on pedal and hands. This is used to generate more power and speed. Less weight is put on the seat itself. 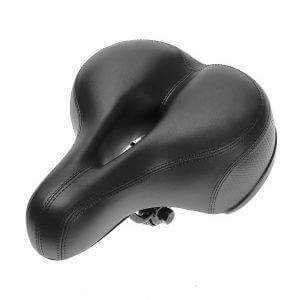 When this seat is put on mountain bikes, it is slightly padded but when on road bikes, it is not padded at all. The new technology being used in racing saddles is improved in a way that now it is designed to protect the lower organs of people by relieving pressure from soft tissues. Comfort hybrid bike saddles are exclusively designed for comfort bikes that are there to give riders a good leisure time. These types of seats can even be used for long distances as they are padded with enough foam/ gel that can easily absorb shocks. 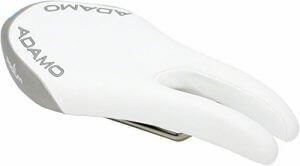 Comfort saddles may differ in width for men and women. For women, the seat is comparatively wider to suit their body. Cruiser saddles give a lot of support to the rider in the form of padding on both sides. Their design puts most of the body weight on the seat and not the pedals since riding with speed isn’t the motive for these saddles. The seat’s width is also broad to support the weight. Another kind of cruiser saddles are referred to as banana saddles and have a long shape with a well-padded shell. 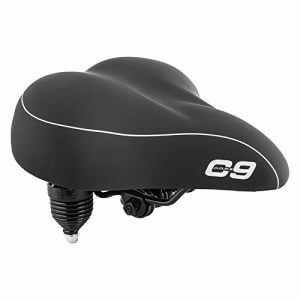 This type of saddle is lightweight, padded to a medium extent and designed to protect delicate parts. The obvious difference from the rest is the split in between. The split is done to allow for free airflow and also relieve the rider from numbness and pain that may occur at that one particular part of the body due to constant contact. The reason why most of the saddles nowadays are aimed directly at the health of the rider has a lot of reasons behind it. A tight and enclosed seat can irritate the reproductive organs, cause tension in nerves and reduce blood flow capacity. Due to this reason, many new seats now have a cutaway in between or soft padding are used at that part. This would remove the stiffness and make the ride comfortable all along the journey. Well-positioned saddles are good for the rider because then he/she will be able to paddle well and injuries will be prevented. If the saddle is positioned too low, then that will cause pressure on the quadriceps making them burn. So basically, the quality of saddle alone isn’t the only thing that matters, but the degree to which it is positioned is also important. All this discussion brings us to the conclusion that saddle is not just another part of your bike. Customers cannot ignore its design thinking that it will be compensated by greater speed of tires or a powerfully built frame. It is imperative that you choose one of the best hybrid bike seats that cater to your needs. The seat is that component where three places of your body meet. It supports your body weight, determines your riding position and helps you steer or control the bike. If a saddle is designed well and according to the purpose that the particular bike is aiming for, then it will ultimately help the rider to ride well. Then it doesn’t matter if your bike is a comfort bike or not, as long as your saddle is perfect you can easily manage long rides without any trouble. It’s really nice description about the bike saddle. Hope many people find helpful from your site.